Carte de visite of Edwin Booth, with D. Appleton & Co. backmark. Fine condition. 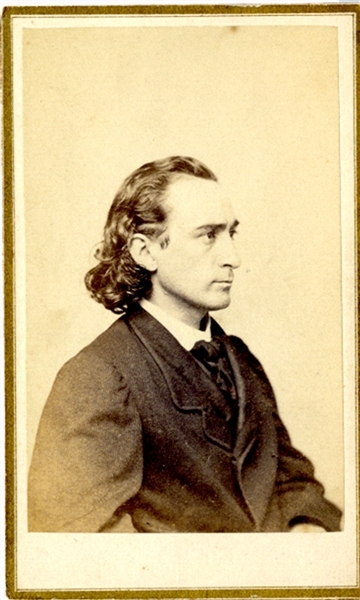 Edwin Thomas Booth (1833-1893) was an American actor who toured throughout the United States and the major capitals of Europe, performing Shakespearean plays. In 1869, he founded Booth's Theatre in New York. Some theatrical historians consider him the greatest American actor, and the greatest Prince Hamlet, of the 19th century. His achievements are often overshadowed by his relationship with his brother, actor John Wilkes Booth, who assassinated President Abraham Lincoln.